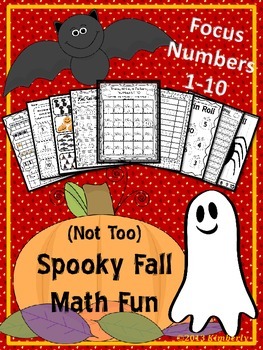 This product is packed with spooky (but not too spooky) fall and Halloween themed related math worksheets, puzzles, and games. 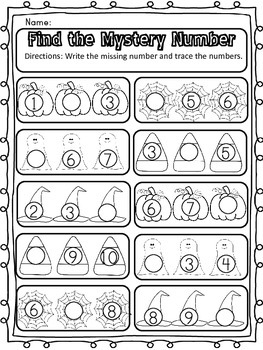 The focus is on numbers and number words 1-10, with a few including the number zero. There are color and black/white versions of some of the pages so that you can choose which best suits your needs. 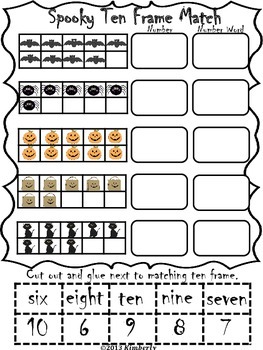 For long term use, simply copy on card stock, laminate, and store in a gallon size baggie or pencil pouches. 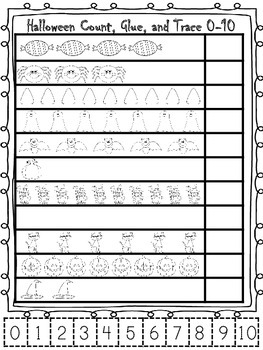 I also love using plastic sheet protectors and dry erase markers on worksheets. ** May be used as pre/post assessments. Thanks so much and be sure to FOLLOW my store to receive notice of upcoming sales, new products, and FREEBIES!!! Speaking of Freebies, have you downloaded mine yet? I’ll be adding more throughout the year.